While brand owners may be apprehensive about Google’s decision to bring its AdWords policy in Europe into closer alignment with the position in the United States, should the move be welcomed with open arms? As Libya endeavours to attract overseas investment, key questions centre on the level of trademark protection on offer and how the regime compares to others in the region. Do the latest changes go far enough and will brand owners trust a regime that previously discarded over 20 years of registrations? Google’s liberalisation of its AdWords programme in Europe, allowing advertisers to include third-party trademark terms in advert text, has been “strongly criticised” by trademark owners. The full text of the Anti- Counterfeiting Trade Agreement (ACTA) has been published, following the conclusion of the final round of negotiations in Japan on October 2 2010. The meeting in Tokyo saw the parties to the treaty reach agreement in principle, with only a few issues outstanding. Use WTR’s letters page to comment on issues raised in the magazine and WTR Daily, and to air your views on the industry. Wubbo de Boer has stated that national offices will need to justify the receipt of Office for Harmonisation in the Internal Market (OHIM) funds under the 50% renewal split arrangement, arguing that it is not enough for the agency to warrant paying out money on the basis that it had to “bribe” national offices to agree to changes under the September 2008 compromise solution. Michel Barnier, the European commissioner for the internal market and services, has waded into the genuine use debate, sending a stern warning to national offices challenging the Community trademark (CTM) system. Is Google’s European confidence misplaced? On the back of recent ECJ decisions, Google has implemented a number of changes to its keyword advertising system. However, is the upcoming Interflora ruling likely to signal another change in the European legal landscape? In Italy, the Civil Code and the Industrial Property Code ensure protection for unregistered marks, as well as other unregistered commercial signs (eg, insignia, business names and company domain names), but such protection is subject to strict conditions and a number of restrictions. While trademark rights can exist whether a trademark is registered or not, the advantages afforded to registered marks, whether in respect of enforcement, remedies or provincial regulations, make registration the recommended route to follow. In the United Kingdom, a brand owner can protect its unregistered trademarks and commercial signs through the common law right of passing off. This concept has been developed through case law and manipulated to encompass a wide variety of anti-competitive practices. Russia is a first-to-file country and therefore, according to Russian legislation, trademark rights apply from the moment that the mark is state registered. No rights derive from the use of an unregistered trademark. However, when Part IV of the Civil Code came into force in January 2008, it afforded a degree of protection to commercial indications or signs. All trademarks that are used in economic activity may be grouped into certain categories. 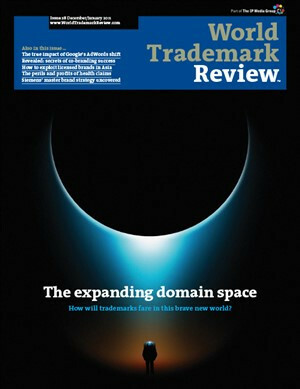 This article focuses on registered trademarks (ie, those which have been granted protection by a decision of the Patent Office) and trademarks which have not been registered (ie, no official decision on granting protection has been issued), but which enjoy similar protection. Unregistered trademarks are protected under Romanian law if they are recognised as well known. Other commercial signs, such as trade names and company logos, enjoy some level of protection under trademark and unfair competition law. In the Spanish legal system, exclusive rights over a trademark or trade name are obtained through registration. Such registration confers on the proprietor exclusive rights in the relevant sign and allows it to prevent unauthorised third parties from using the sign in the course of trade. In the United States, protection is available for unregistered marks under common law and the federal statute known as the Lanham Act (§ 43(a)(1), 15 USC § 1125(a)(1) (1989)). The owner of a valid but unregistered mark can seek recourse against the copyist in state and federal courts. Unregistered trademarks, such as trade names, get-ups, trade descriptions, labelling or packaging and other commercial signs, are protected in Israel under various grounds and actions. In India, the primary legislation governing trademark protection is the Trademarks Act 1999. The right to institute infringement proceedings under the act is available only to the proprietors of a registered trademark. There are two types of unregistered trademark. The first, type A, is a trademark that is not registered in any class of goods or services within its jurisdiction; the second, type B, is a trademark that is registered in one or more classes or subclasses, but not in the class or subclass concerned in the dispute. Trading under an unregistered mark is never a good decision. However, there are certain rights which, under Mexican law, may allow you to continue its use. The way in which commercial signs are protected varies from country to country. However, all legislation follows common objectives. In Portugal, in order to obtain exclusive rights in respect of a distinctive sign used in trade, a decision of grant must be issued by the competent administrative body, the Trademark and Patent Office. The sign may consist of a trademark or a logotype – a Portuguese category of rights which, since the revision of the Industrial Property Code (Decree-Law 143/2008), includes names and emblems of establishment.